If breakfast is the most important meal of the day, it’s best to take it seriously. And when you treat yourself to breakfast or brunch in Lewisville, Texas, you’re practically guaranteed a hearty meal that will keep you full until dinnertime. 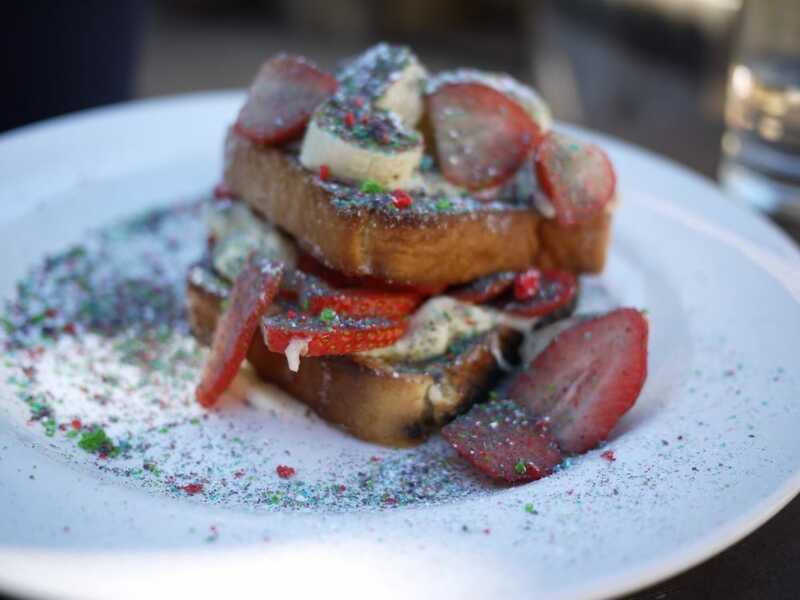 We’ve got some tasty and tempting breakfast and brunch eateries in the area, and each of them serve hearty portions you’re sure to love. When you wake up starving and you have a large appetite, head to one of these spots and treat yourself to one of the best breakfasts in Lewisville, Texas. Mill Street Diner is open daily from 7AM – 2PM, so breakfast is definitely their main focus. This little roadside diner is definitely a beloved local favorite as well as a popular stop for travelers who are just passing through. The flapjacks here are locally famous for being both enormous and delicious. Get a big stack, or add a short stack (which is short in height but not small in size) to your meal. Other especially excellent options include the Farmer’s Omelet and the Texas Scramble, which includes potatoes, eggs, bacon, ham, sausage and cheese. Main Street Cafe is another local gem. They’re open from 6AM – 3 PM daily (except Sundays, when they’re open from 7 – 2). Don’t be fooled by their small, unassuming building—this place serves some seriously mouthwatering freshly prepared food. Try the filling Huevos Rancheros or the Chicken Fried Steak. If they have seasonal pancakes on the menu, such as pumpkin, treat yourself to a stack of those, too. Mama’s Daughters Diner has been a Dallas area staple since 1958, and the good old-fashioned home-cooking is just as comforting today as it was then. They serve breakfast, lunch and dinner daily, including hearty morning meals that will keep you full all day long. You can’t go wrong with one of Mama’s Daughters’ three egg omelets. You’ll have your choice of ham and cheese, veggie, Denver or several other delightful combinations. All omelets come with toast or freshly made biscuits. Pie 314 may be known for its pizza, but you can also order brunch here on Saturdays and Sundays from 10AM – 3PM. Aside from the amazing bottomless mimosas, they have an incredible and enticing menu that includes a little something for everyone. A better question here might be, What shouldn’t you order? The Stuffed French Toast is the stuff dreams are made of, the Breakfast Tacos are delightful, and you can never go wrong with Chicken and Waffles. Meat lovers gravitate toward the Pork Trifecta Breakfast Sandwich, which comes with brown sugar and chili-glazed bacon, pulled pork, ham, cheddar, and a fried egg on an English muffin. This charming eatery has been part of the Lewisville community for over 16 years, and they’re one of the top places in town to go for great food and friendly service. Needless to say, their breakfast menu is exceptional. If it’s a breakfast food, you’ll find it on the menu here. Tierney’s has steak and eggs, omelets and scrambles, breakfast tacos and burritos, and three Benedicts. We highly recommend the Lewisville Fighting Farmer Omelet, the Sausage Lover’s Skillet or the California Benedict, which comes with smoked turkey, avocado, mushrooms and Hollandaise sauce. No matter what you order, try and enjoy it on the relaxing patio. Korner Cafe is open daily for breakfast, lunch and dinner, and they’re known for their friendly service and pleasant atmosphere as well as their wonderful food. You’ll definitely find typical diner fare here, though they also have some great healthy options. The Korner Breakfast Sandwich is especially excellent, and so is the Stuffed French Toast, which has the perfect amount of sweetness. Living at Hebron 121 Station means you’re never more than a couple of miles away from a hearty, savory breakfast you don’t have to cook yourself. And if that alone doesn’t convince you to join our resort community, this virtual tour surely will.